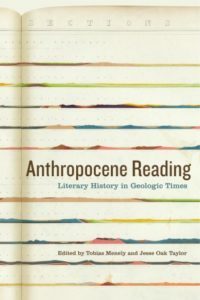 Entering into conversation with geologists and geographers, this volume reinterprets the cultural past in relation to the anthropogenic transformation of the Earth system while showcasing how literary analysis may help us conceptualize this geohistorical event. The contributors examine how a range of literary texts, from The Tempest to contemporary dystopian novels to the poetry of Emily Dickinson, mediate the convergence of the social institutions, energy regimes, and planetary systems that support the reproduction of life. They explore the long-standing dialogue between imaginative literature and the earth sciences and show how scientists, novelists, and poets represent intersections of geological and human timescales, the deep past and a posthuman future, political exigency and the carbon cycle. Tobias Menely is Associate Professor of English at the University of California, Davis, and the author of The Animal Claim: Sensibility and the Creaturely Voice. Jesse Oak Taylor is Associate Professor of English at the University of Washington in Seattle and the author of The Sky of Our Manufacture: The London Fog in British Fiction from Dickens to Woolf.